Modell's Sporting Goods- Baseball and Softball Equipment Discount Coupon!! To hopefully aid the financial burden and raise funds for our program, Eastchester Little League/TEB Softball has once again partnered with Modell's Sporting Goods who has generously provided us with a 15% off total purchase coupon which can be used for anything purchased at any one of their local stores from February 22 through April 25, 2019. 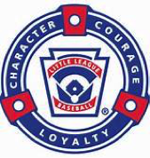 Eastchester Little League/TEB Softball - Online Apparel Store- Limited Time! Back by popular demand, ELL/TEB has re-opened our merchandise store powered by Metro Team Outfitters. This is your last chance this spring to purchase authentic league apparel. This custom online store be closing on Tuesday, May 15, 2018. Don't miss out! Little League international has implemented new rules and regulations for baseball bats to be used starting in the 2018 season. We are pleased to announce that ELL/TEB has arranged for discounts for purchases of Easton baseball and softball bats. ELL/TEB families can purchase bats at significant discounts through an arrangement with a local Easton dealer, Mt. Kisco Sports. Also, a portion of all bat sales through Mt. Kisco Sports will be donated to ELL/TEB. Bats must be ordered on or before January 17, 2018. Bats will be shipped by the manufacturer to Mt. Kisco Sports, and Mt. Kisco Sports will ship the bats directly to the purchaser for a $9 charge. This bulk delivery arrangement to Mt. Kisco Sports facilitates part of the discount to ELL/TEB families. We are also attempting to negotiate similar discount programs with the other major bat companies, including for softball bats. Stay tuned for any developments on that front. For those interested in hitting with demos/samples of the Easton bats before making a purchase, we are arranging for demos to be available during the winter clinics. TEB 12U Fall Travel Has Terrific Weekend! ©2019 Eastchester Little League / SportsEngine. All Rights Reserved.